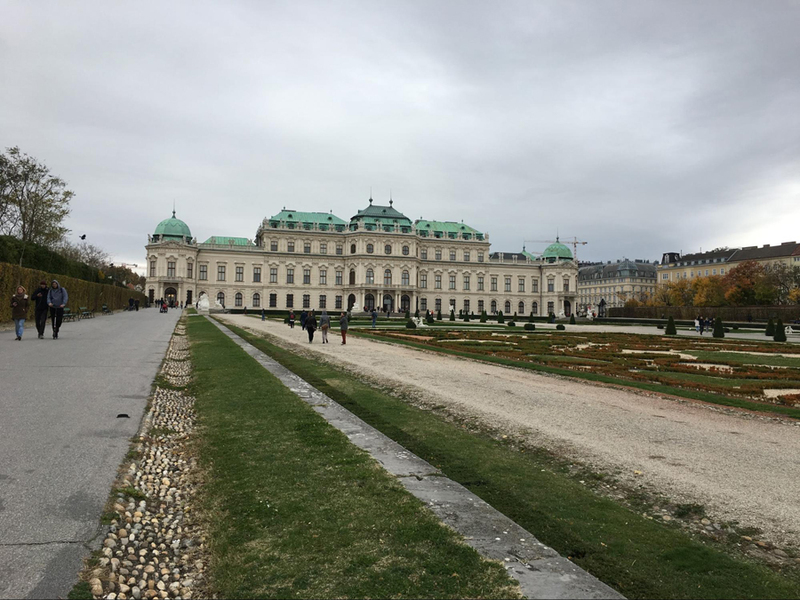 In the following article, Emma Dressler '18 discusses this fall's AP Art History History trip to Vienna, Austria. This October/November, all TASIS students and many members of the faculty set off on Academic Travel, all the trips going to different parts of Europe to better immerse students in a given subject. One of these trips was the Vienna Art History trip led by Mr. Mark Aeschliman and accompanied by Ms. Anna Kavalauskas. The trip lasted five days, and over this time students had their days jam-packed with visits to cathedrals, palaces, museums, and even an opera house. The group began its trip with an early 5:30 AM bus ride to Milan Malpensa, and, upon arrival that afternoon in Vienna, kicked things off with tours right away. First on the list were Wagner Villas I and II, and students enjoyed looking at the lavish detailing of one villa that sharply contrasted with the simplicity of its neighbor. 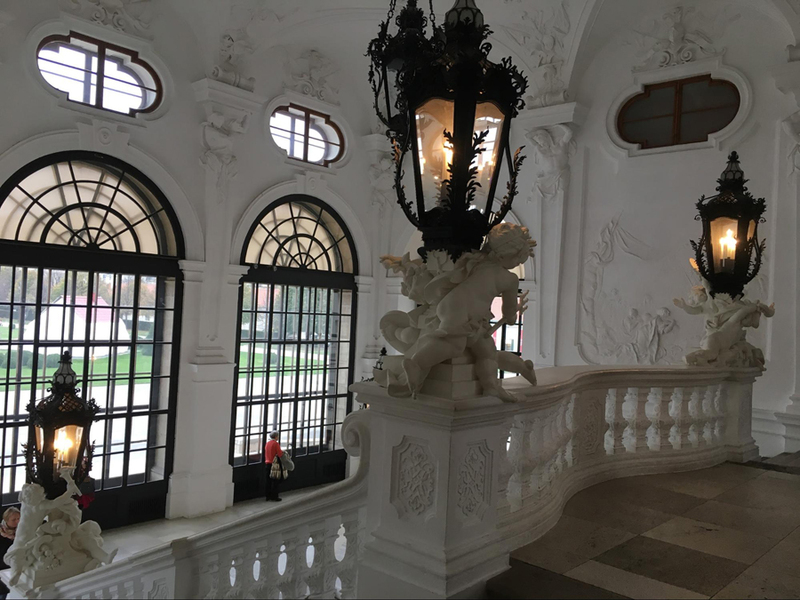 The group then went and visited Otto Wagner's famous hospital and church that accompanied it before making its way to the Habsburg summer palace for an audio tour followed by free time to explore the beautiful gardens behind the palace. Students used this time to visit more areas of the palace, admire the gardens, and visit the cafe to enjoy some hot chocolate. The TASIS group began its second day in Vienna with a visit to the Sisi Museum and another audio tour. 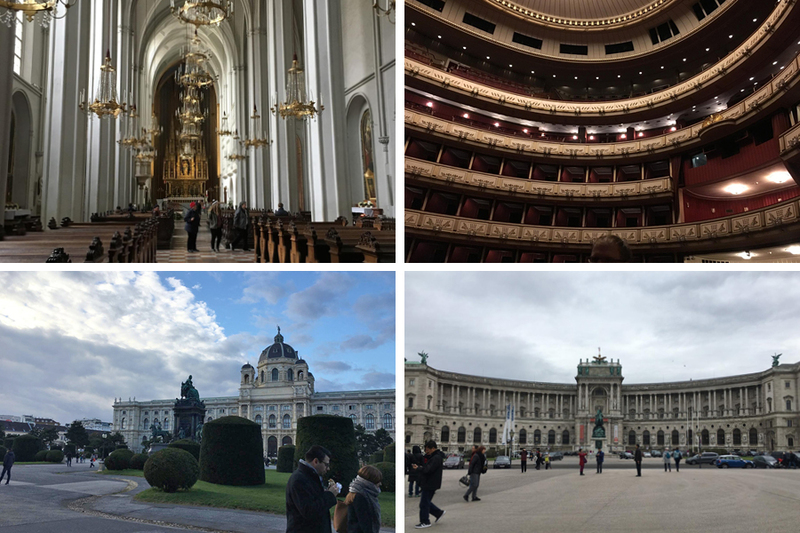 This included touring the main Habsburg palace, which the students were shocked to learn existed, as the "summer" palace seemed to be lavish enough to be the main palace. The group later had the rare opportunity to go backstage at the Vienna State Opera. Due to performances and rehearsals, most tour groups do not get this chance, but the TASIS students were able to go behind the stage and watch as the crew set up for that night's show. 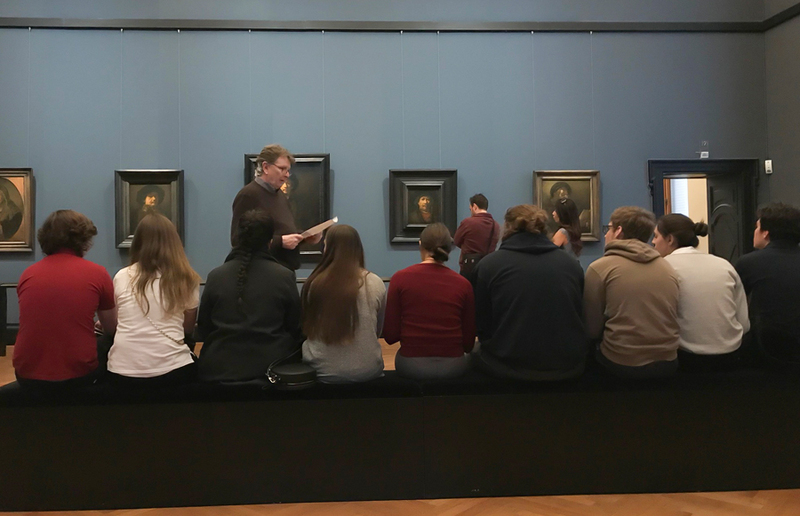 Later that day, there was a visit to the Kunsthistorisches Museum, one of the most famous art history museums in the world, in which the students gave presentations on paintings and other artifacts in front of each work. The works that were presented on included The Tower of Babel, Cellini's Saltcellar, and Hunters in the Snow—among many other famous works that the museum houses. Following the presentations, the group had time to explore the museum independently, and many students enjoyed exploring the Egyptian exhibits in more depth. One student, Can Basaran '18, took advantage of this opportunity to explain his assigned work to some curious tourists seeking further information on the piece. That evening, dinner was at a traditional Austrian restaurant, where some tried schnitzel for the first of many times over the course of the trip. Following dinner, the group made its way next door to a Beethoven and Mozart concert in St. Anne's Church. There were also a few hours of free time that evening in which students explored the area around the hotel and grabbed some post-dinner burgers and milkshakes. Wednesday morning began with a new museum, the Secession Museum. Here the group listened to an audio recording analysis of a Beethoven Frieze. While the in-depth audio of the frieze was very interesting and informative, most of the group took more interest in the modern art exhibit upstairs. In this exhibit there were some difficult-to-decipher pieces, such as a couch that had had a bucket of black paint dumped on it amidst a purposeless wooden post and some plants. That afternoon, the TASIS group visited another Habsburg palace, the Upper Belvedere Palace. The students were awestruck not only by the fact that the royal family had a second palace, but also by the fact that to some this second palace was even more lavish than the first. That evening the group ate all together at a traditional Viennese restaurant in which the menu was largely made up of varying types of schnitzel. After enjoying a heavy meal, the students went off to enjoy one of their last nights of free time by wandering around the city and even getting some more post-dinner burgers. The second-to-last day began with a visit to the Sigmund Freud Museum, which was the home of the famous neurologist before he was forced to flee to England. The students were fascinated not only by his work as a neurologist but predominantly by his story of escape from persecution by the Nazi regime. The day was finished with a second visit to the Kunsthistorisches Museum. 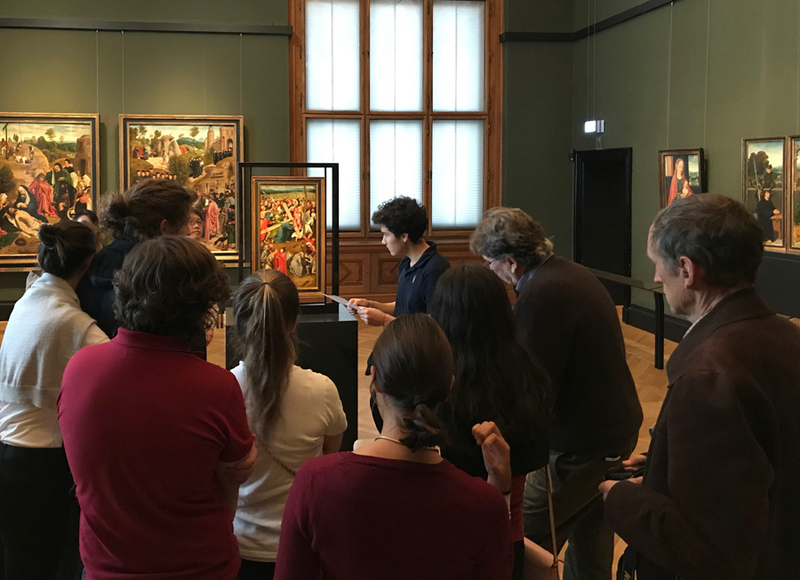 This time, rather than having students deliver presentations, Mr. Aeschliman gave his personal tour of some of the works in the galleries, such as the Rubens gallery. There students saw many works, including some that AP students will see on the AP Art History exam this spring. On the last night of the trip, students were given the opportunity to eat dinner on their own and unanimously decided to go to the highly anticipated Hard Rock Cafe. One student was so disappointed to hear that the restaurant had run out of the brownie sundae that he took it upon himself to go up to the kitchen and make one with the chef. After dinner, a group of students went to a theme park in Vienna and went on the rides before heading back to the hotel for check in. The last day was quite short, as the group had an early afternoon flight home. The only thing there was time for was a visit to the Albertina Museum, home to the works of countless acclaimed artists, including Bruegel, Monet, Picasso, and Raphael. Students enjoyed a private tour that included some very interesting insight into the sketches of Bruegel. Afterward they independently explored the other exhibits, with the works of Monet and Picasso being a favorite although this favoritism was also shared with the modern art gallery. Shortly after the Albertina, the group headed for the airport after a week of very well-organized museum trips. The Academic Travel trip served its purpose well by providing students with an in-depth exposure to some amazing art, architecture, and historical insight while at the same time giving them enough time to explore and understand the city on their own.